Your Guess Is As Good As Mine (340/365, year 3) – Annoyingly Boring? 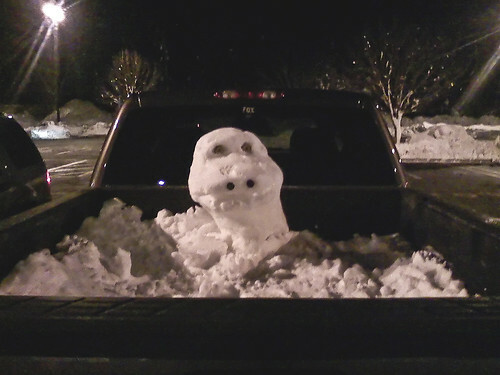 Was at Stop & Shop and this snow creature was living in the bed of the pickup truck that we parked next to. Cell phone bailed me out as I didn’t have the ‘real’ camera with me.